If you’re reading this, you’re already aware SEO isn’t optional. It’s necessary. That’s the easy part right? The hard part is… well… SEO is hard! If you’re just starting out, there’s a good chance that after a few Google searches you’re even more confused than when you started researching. Well, fear not dear reader. This is where your journey starts. We’re going to cover a lot of ground in this article, so hang on. I guarantee you that by the end, you’ll be well-equipped to start building an effective SEO strategy that will earn you higher rankings in the search engines. But first, a quick note on why this matters in the first place! Hopefully you don’t need to hear much more than that to be convinced this is important. In order to rocket your site to that coveted top spot however, you’ll need a well-thought out plan to serve as your launch pad. With that in mind, it’s easy to see why organization is going to be critical. By creating a master plan, you’ll be able to concentrate your efforts (and prerequisite research) on the elements that will really make a difference. This is where the magic happens. While link-building, content, and the rest of the plan are all vitally important, this is ground zero for an SEO campaign. Consider it the “spine”, it’s the nerve center from which all other functions are derived. Imagine you’re reading a text book. The table of contents is going to be your best friend from the get go. Further, you understand how to find particular information by browsing chapter titles, page numbers, etc. Now imagine that Google is the reader, and your website is the textbook. Clean code will make it infinitely easier for Google to understand and categorize the information presented in your site. The faster your site can be crawled and indexed, the faster you’ll see improved rankings when you add new content or make other improvements. There’s a direct correlation here. The most pages you have indexed, the greater your discoverability. Here’s a great example of clean HTML for you to look over. You’ll want to start viewing your site’s composition like architecture. If you use the wrong materials, take measurements poorly, or don’t plan well, you’ll end up with an unstable mess that not even a vagrant would want to spend a night in. You might find this hard to believe but studies have shown that roughly 40% of visitors will leave a website if they don’t find what they’re looking for in the first 3 seconds. They back up and move to the next result in the SERPs. That’s all it takes for someone to make their initial assessment of whether or not they’re going to find what they’re looking for. If a visitor can’t figure out where to go next, where to sign up, or how to make a purchase, they’re going to bounce. 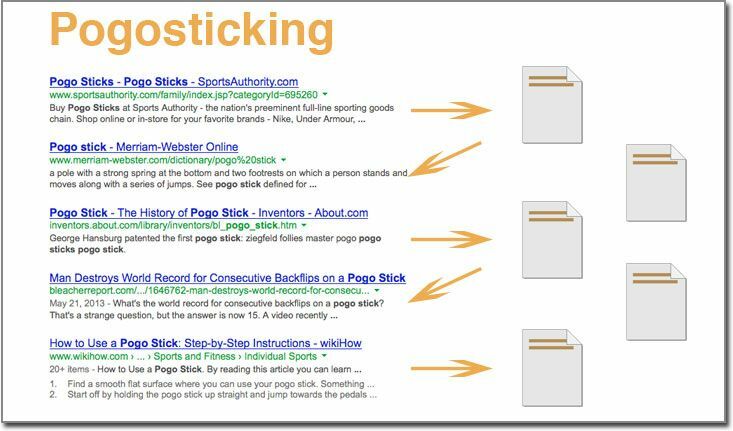 Pogo-sticking has an impact on SEO, and you want to make sure you’re set up to minimize that. We need to constantly be focusing the visitor experience around the most important actions they can take. This in turn should be related to the most likely reason they ended up on your site in the first place. Being smart with your internal linking is another practice that can make a big difference. Make your main offers abundantly clear, and make sure their presentation is extremely user-friendly. By now, you’re probably sick to death of hearing about how you have to get on board with mobile marketing. It’s a subject that’s been beaten to death since everyone was freaking out about “mobilegeddon”. As you can see, you’re actually targeting a smaller demographic if you’re only optimized for desktop visitors. Imagine that. If you got to pick between a larger or smaller non-specific audience with no strings attached, you’d actually be picking the smaller of the two. 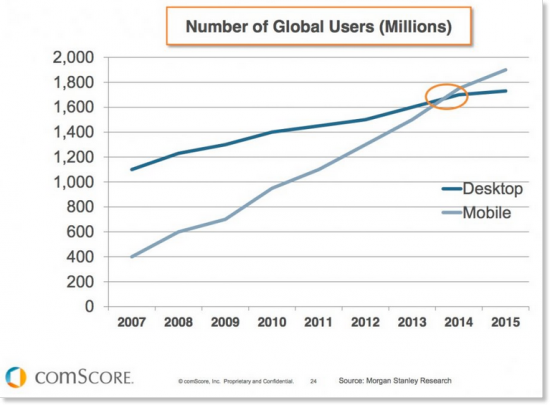 Mobile is here, and it’s here to stay. The numbers will probably only continue to favor mobile visitors, so don’t waste any more time if you haven’t optimized for mobile yet. 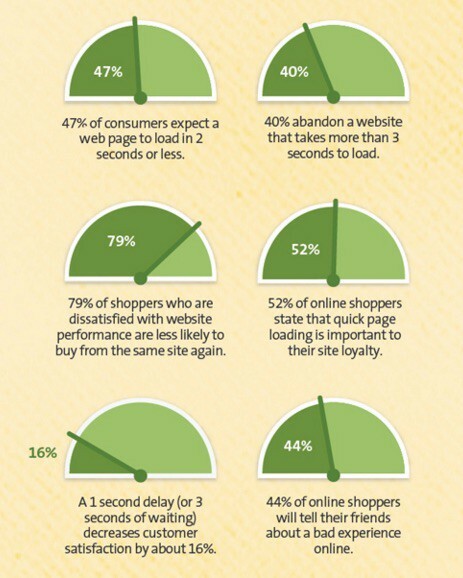 Site speed is critically important to bounce-rate. It’s also a ranking factor! So don’t overlook this one just because it gets technical. If you come across some website you’re interested in, how likely are you to wait around if loading takes longer than 6 seconds? What about 4 seconds? If you’re like the majority of users, you might not even make it that far. Switching to HTTPS can be a boon for a lot of websites. You’re going to want to do a little research before you jump on this one, but going forwards it will most likely continue to grow in popularity and importance. It can cause some site-speed issues in some cases, this is due to the fact that it requires some extra “handshakes” in order to serve up web content. On the other hand, Google has confirmed that the switch will provide improved rankings. It may not be a big increase, but it’s a factor for sure. So consider this when you’re building your strategy. Did you know 4 out of 5 people use search engines to find local information? What would you say if I told you 50% of consumers who perform a local search on mobile, visit a store within 1 business day? Google discovered this (and a whole lot more) when they did a comprehensive study in 2014. The conclusions we can draw upon examining the presentation are that local search is only getting more and more important and that every business needs to get to work if they haven’t already. This is how Google determines if you’re business is located near searchers who might be looking for a product or service you provide. You can see why consistency would be important. We wrote a heavy-hitting and concise post about how to maximize local SEO with minimal effort. You can read it here. 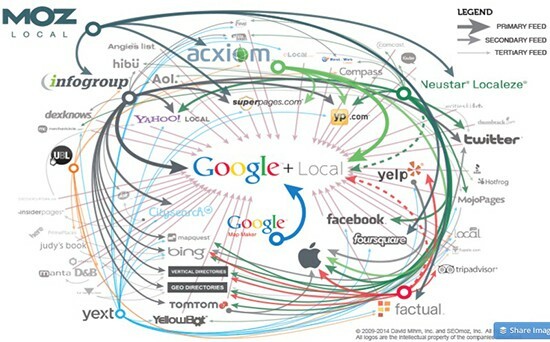 Social media has an interesting relationship with SEO. While it may be unclear how much social signals affect discoverability, what’s not up for debate is the fact that it’s important to your brand and overall SEO strategy that you have a social presence. You don’t necessarily need to claim every social media account you could, but there are a number of high-traffic social media outlets that can provide some SEO value no matter what Matt Cutts’ says. From a marketing standpoint, it’s important that you not let your efforts become scattershot. It’s been proven much more effective to hone in on building an engaged audience on a few specific platforms. With that in mind, I’d recommend you take a look at this comprehensive guide. It will be invaluable to you if you want to learn some more about how to start using social media for your business. If you’re a more advanced user already, here’s a recent article we wrote about how to improve your social media marketing. Content marketing is one of the most valuable tools anyone interested in SEO can use. It’s a critical part of any solid SEO strategy. One study by HubSpot found that companies that have an active blog receive on average 434% more indexed pages than those that don’t. You may remember from above that the more indexed pages you have, the more likely your site is to be discovered. We’ve written at length about how to build a killer content marketing strategy. Check out that article to see an actionable (and tried and true) way to start generating results with your content. Last but not least, truly leveraging blogging can take a lot of time and not all business owners have the resources to capitalize on it. If you’re in that camp, consider outsourcing it if that’s a possibility. 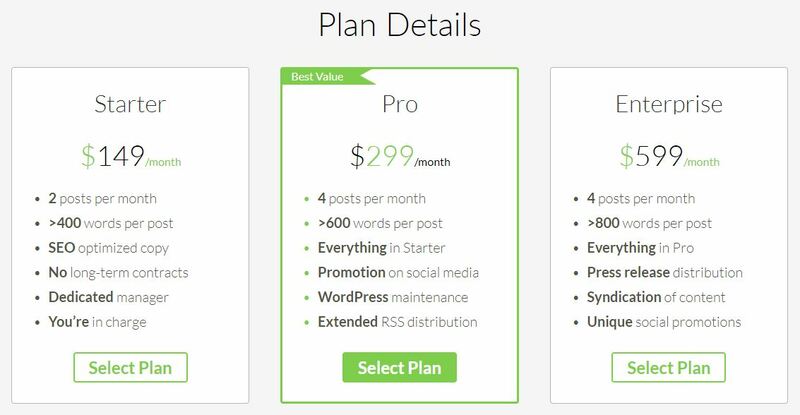 We offer affordable blog management plans that start as low as $149/month, and our writers are all professional US-based content creators. Link building has always been the backbone of effective SEO. In fact, it used to be so important, that people started building spammy links all over the web. You may remember a time when blogs were filled with comment spam including links to various sites? Yeah… not fun. Fortunately, those days are long gone. Google has advanced by leaps and bounds when it comes to penalizing sites that don’t provide a user-friendly experience. So you won’t get away with cheap tactics like that anymore. But building relevant and high-quality links is necessary to earn higher rankings in the SERPs. Here’s a link to a very comprehensive Moz guide on the subject. It’ll help you out whether your a complete beginner or moderately experienced. Believe it or not, this is just the tip of the iceberg. 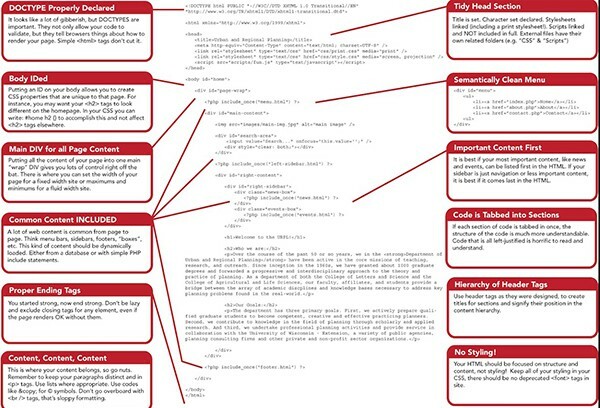 SEO is a complicated and tricky art to master. But with some diligence, research and hard work, you’ll be up and running in no time. If you decide you’d rather explore other options, our performance-based SEO service revolutionized our industry when we launched back in 2007. Since then, thousands of business owners have entrusted us to deliver lasting and compelling results. And we’ve done just that! Learn more about our “if you don’t rank, you don’t pay” guarantee by visiting our SEO service page.